Rose Primary contains the purest vibration of the rose, infused with an indescribable scent, coming to Earth from the light garden of Venus. Rose Primary opens up your heart to this vibration and reconnects you with the energies of Venus. It activates a sublime energy of love in your heart not comparable to anything on Earth. Rose Primary unfolds the petals in the higher levels of the heart chakra and attunes them to the vibrations of light and love from Venus until they radiate in their own perfect light. On Venus there is a garden of light and from this garden there comes to Earth the purest vibration of the rose. 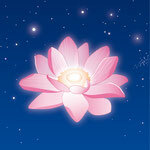 Rose Primary uplifts and lightens the emotional body making deep healing possible. It is a key to the mastery of the heart chakra. 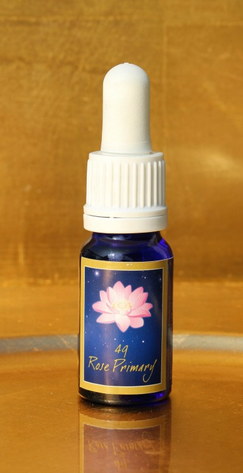 Rose Primary contains the manifestation levels of the heart chakra, which have only existed on Venus until now. It brings you into contact with the light seeds, which have been planted on Earth, to be able to create new forms. These light seeds can be accessed through the heart chakra where they can be nurtured and allowed to blossom. Rub three drops between your hands. Stretch your arms to the sides level with your heart chakra. From you bring your hands together in front of your heart chakra. You stretch your hands together to the front and bring them in a large arch back to the sides. Then you bring your hands back in front of your heart chakra and in the prayer position you stretch them high up above your head. Having reached the highest point, you bring your hands back to the sides. Then you cross your hands over your chest and let them rest there for a few moments. Then place one drop each onto your lotus, heart and base chakra, your knees, your feet and onto your tongue.